This is one of the first in a series of books showing that kids can grow up to be whatever they want to be. Carlee isn’t too excited about her first day of school because her mom is the teacher for the other 1st grade section. Carlee is afraid the kids aren’t going to like her because her mom is a teacher. In the story we journey through Carlee’s first day and experience her nervousness and excitement as she travels through her classes. One thing Carlee knows for sure, is that she doesn’t want to be a teacher like her mom. She was sure all the kids were laughing at her mom and her and she was so embarrassed. As Carlee imagines being anything BUT a teacher, we are introduced to real life people in those professions like Christopher Columbus, Neil Armstrong, and Marie Curie. By the end of the day, Carlee is surprised to learn that the kids love her mom as their teacher. 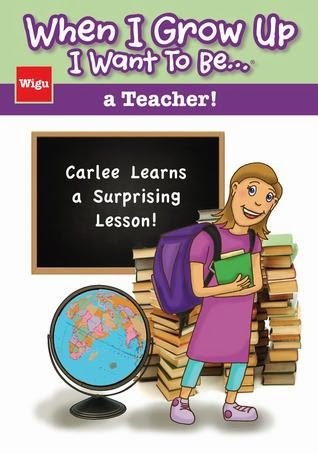 Carlee realizes having a mom for a teacher isn’t so bad and maybe being a teacher is just what she wants to be. I love how there is a story mixed in with the non-fiction parts of the book. It is kind of a fiction/non-fiction book. We learn factual information about real people as Carlee travels through her day. Carlee’s story is realistic enough for kids to identify with her fears, hesitations and excitement on her first day. As someone who works in our children’s school, I know the embarrassment and excitement that our children feel when I am in the building. Our 9-year old read this book and enjoyed it. She liked reading the quotes and information about real people. She liked Carlee’s character and all the jobs she considered being. Our daughter also wants to be a teacher (as of today) and this book reinforced that for her. Jake is assigned a project by his teacher to present to the class what he wants to be when he grows up. He goes through a list of careers, but after talking to his father and learning that both his dad and his grandfather were in the army, Jake decides to do his presentation on a soldier. Jake’s dad takes him to the Army Surplus store to get the items he needs for his presentation. As Jake goes through the store, we learn the factual information related to our goverment, the uniforms, and the badges and pins. As the daughter of an Army Veteran, I found this information interesting. Photos of real life soldiers and veterans are shown as we read through the book to give a great perspective on the current job of soldiers as well as the historical piece. When Jake gives his speech, he not only talks about the job soldiers do, but all the sacrifices they make to protect our country. The book ends with a glossary explaining the many terms used in the Army. I really loved both of these books. I think this is an great series for elementary-aged children to help them explore the opportunities that will be available to them as they grow up. These books can plant the seeds in their minds and help the child realize they can be whatever they want to be. I highly recommend these books for classroom as well as personal use. Other books in the WHEN I GROW UP series coming soon from Wigu Publishing include Firefighter, Race Car Driver, Nurse, Veterinarian, Police Officer, U.S. Air Force, World Traveler, and a Good Person. Wigu Publishing is a collaboration of talented and creative individuals working together to create informative and fun books for our children. Our titles serve to introduce children to the people in their communities who serve others through their vocations. 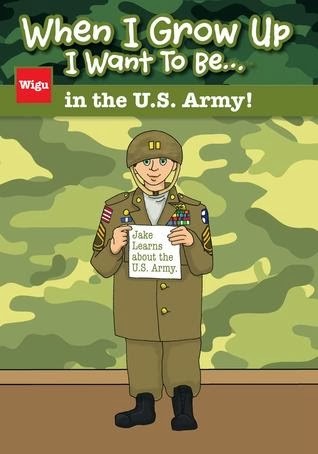 Wigu’s books are unique in that they help our children to visualize the abundant opportunities that exist for them to be successful and to make a difference. Our goal is to inspire the great leaders and thinkers of tomorrow. For more on Wigu Publishing and their books, click HERE. Like them on Facebook, HERE. Follow them on Twitter, HERE. Follow their Pinterest boards, HERE. 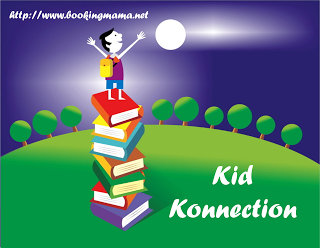 I will be linking up with other Children’s Book Reviews at Booking Mama‘s Kid Konnection. To see other great reviews of Children’s Books, click HERE. Thanks to Wigu Publishing, I was provided copies of the above books in exchange for my review. This review is my honest opinion. I was not compensated in any other way for this review. If you choose to purchase the books through the above links, I may receive a small commission without you having to pay a cent more for your purchase. Thanks for supporting SincerelyStacie.com’s book reviews. Those look like terrific books! I love the basic idea of the books and especially how it incorporates some information about actual people! Thanks for sharing!